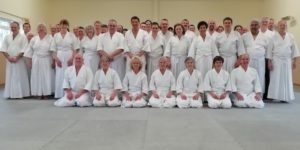 An open course for all with Sensei Pater Hughes, 8th Dan. Saturday, 6th April: Open Class13:30 to 15:30 and 16:30 to 18:30. Sunday, 7th April: High Grade Class 9:30 to 11:30, Open Class 12;30 to 14:30.